Last Thursday afternoon I needed to go into St John’s to get a few odds and ends. I walked down the lane and sat on the little wall under the huge tamarind tree to wait for the bus. It was a glorious afternoon, hot and sunny, the sky the brightest of blues with billows of white cloud here and there but the breeze was minimal. So I sat under the tree, fanning myself with my hand to try and cool down, while clutching my new shopping, free bags. My new, FREE shopping bags. Aren’t they nice? 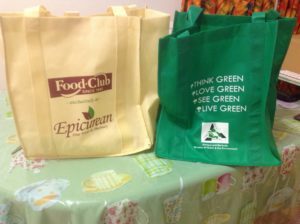 Antigua went plastic-bag-free on lst July and the supermarkets were giving out these smart, strong, handy bags to their customers. A very nice gesture, which I really appreciated. But I digress! So there I was, sitting on the wall, fanning my face and minding my own business while waiting for the bus. Suddenly, I became aware of movement very close to me. I looked over my right shoulder to find myself face-to-face and I DO MEAN face-to-face with a very large, grey cow. She stared into my eyes with her huge, hypnotic dark ones as she chewed away, lazily swishing her tail every ten seconds or so and causing dozens of flies to rise up from her back and then settle down again, until the next swish. Now I’ve become familiar with cows since I’ve lived in Avocado Cottage as they are left to graze on the pasture and they come up and down the lane at frequent intervals, But I don’t like them this close. So, I stood up and took a couple of steps back, not wanting to turn my back on her in case she charged me (or is that bulls?) only to hear another noise behind me. One of her mates, this one a brunette, was inches from my left shoulder. She, too, was chewing. I stood very still, trying not to be afraid. Because they can smell fear, can’t they? Can’t they? I don’t know! I turned my head very, very slowly to see if there were any other cows nearby. There were, but they were behind the wall, minding their own business, munching the grass and enjoying the bovine equivalent of afternoon tea. I slowly shifted sideways, like a giant, spaced-out crab until I found myself almost in the road. It was a good job I moved because seconds later, the first one turned round and dropped a huge dollop of dung right where I’d been standing. Nice! I’ve never been so pleased to see the bus come round the corner five minutes later in my life. I’ve had tennis withdrawal symptoms this week, although I did get a little look at the Davis Cup on Saturday afternoon. I watched the third set of a great match where brilliant Kyle Edmund’s win meant Great Britain got through to the semi-finals against Argentina. I was thrilled for Kyle, it obviously meant so much to him and it was great to see GB succeed without Andy Murray, although he was there to watch and cheer the team on, bless him. Thinking about Wimbledon last week brought back some funny memories of the tournament. The cameras pan onto the crowd much more now than they ever did before. I was reminded of a time I threw a sickie and took myself off to Wimbledon for the day. It was scorching hot with relentless sunshine – not a cloud in the sky – and I knew I couldn’t go back into work the following day with sunburn as I was supposed to be poorly. Having checked the weather forecast, I’d put on a long-sleeved shirt with a stand-up collar, which covered the lower part of my face. I wore large sunglasses and a wide-brimmed hat pulled down over my forehead just in case anyone from work saw me. I mean, short of wearing a burka I couldn’t have been more covered up. I sweated buckets. I’ve never been so hot and uncomfortable in my life, which I suppose was my punishment for telling fibs. Perhaps the most memorable Wimbledon Final I ever saw, though, was the year that Goran Ivanisevic won. You know, when Tim Henman was leading him in the semi and then the rain came and the match was played over three days and everyone said that Tim lost because of the weather. Like it was only raining in his half of the court, right? Anyway, that year I was actually in Goran’s beloved Croatia with a singles’ group. The match was being shown on a large TV screen just inside the hotel bar. Everyone was riveted to the game and you could only get a drink at the change of ends. And then, as Pat Rafter sent the final ball into the net, the roof came off the hotel. The staff were singing and dancing with each other and the guests and the party went on most of the night. The whole town of Opatjia, where we were staying, had huge posters of Goran in every window and it was wonderful to see their pride in him and his achievement. I always liked Goran. So handsome. No tennis has meant that I’ve really been making inroads into Singles at Sea and I’m very pleased with it so far. I just hope you’re all going to love it as much as the previous three. I’m enjoying writing it, so that’s encouraging, isn’t it? This week, when I’ve taken a break from writing mid-afternoon I haven’t gone into the pool. I want to put a large sunshade over it and I can’t do that until the decking is finished and the carpenter is still in St Vincent, although he phoned and said he should be back next week. Anyway, without the sunshade it’s in full sun and after my little skin cancer scare I have to be very careful. So – I’ve taken to having my dip in the evenings. I wait until it’s dark, at about eight o’clock and then I go in. It is absolutely magic! The water’s gorgeous, like a tepid bath as it’s had the sun on it all day. I do my erratic aquarobics session and then I flip onto my back and just float there, looking up at the sky. It’s so still and quiet and relaxing, a bit like being in a flotation tank and I’ve found that my sleep patterns have improved since I’ve been doing this. It’s full moon tomorrow, so tonight the moon was big and bright and there were loads of stars and the sky was deep, deep, navy blue with the occasional wispy cloud floating in front of the moon. I could have stayed in there all night. This entry was posted in Journal of Elaine Spires and tagged Andy Murray, Avocado Cottage, Goran Ivanisevic, Kyle Edmund, Singles at Sea, Wimbledon by Elaine Spires. Bookmark the permalink.